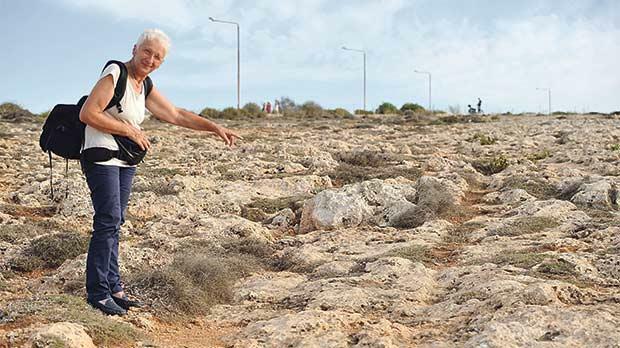 Walking past cart ruts all over the island feels like going back in time for 66-year-old Swiss photographer Monika Trinkler, who travels to Malta several times a year to document her adventures. Ms Trinkler first came to the island in 1983 and has returned at least twice a year since. After visiting popular tourist sites, she wanted to discover something off the beaten track. In the past year since starting her project, Ms Trinkler claims to have seen over 200 different cart ruts, recording each and every one of them. Ms Trinkler uses Google Earth to keep track of the cart ruts she has discovered so far. The complex network of tracks and grooves seen in different areas where there are exposed rocks has always puzzled archaeologists. Questions on whether the ruts can ever be dated and what type of vehicles could have led to the formation of the grooves have never been definitively answered. Cart ruts are found in a number of areas in Malta and Gozo, including St George’s Bay in Bireżebbugia, Ras il-Pellegrin just off Ġnejna and in the Nadur area. A history buff, Ms Trinkler wanted to get hold of a comprehensive guide to all of the cart ruts found in Malta but was soon told that this was not readily available. Not one to back off from a challenge, she decided to start using her time here to map the cart ruts herself. “I wanted to do something special with my time here and so last year I decided to start looking for Malta’s cart ruts. 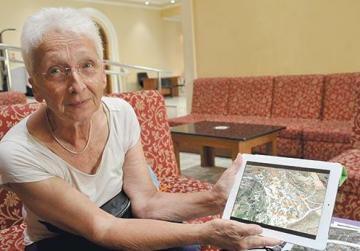 I got in touch with Heritage Malta and then I used Google Earth to locate the coordinates,” she said, holding a file brimming with maps and other documents she uses for her research. After planning out the different routes, Ms Trinkler would then come over and spend a week or two going on three-hour long hikes every day in search of cart ruts. Once she locates the ones on her list, she takes a photo of the area and moves on to the next spot. While Ms Trinkler thinks of Malta as her second home, with friends all over the island, she admitted to being slightly disappointed that the Maltese seem uninterested in learning about their own heritage. She added that recently, she had also noticed an increase in illegal dumping of waste all over the island, sometimes in areas which were hard to reach. “I walk for hours, going through terrain that’s not easily accessible and yet I see mountains of construction debris everywhere. She added that she had met very few Maltese who were well aware of what cart ruts are, insisting students should be taught about this at school.